Criticising the government's short-sightedness, Rana said that mergers do not aid in clearing off the non-performing (NPAs) assets. Mumbai: A one-day strike has been called for on December 26 by nearly 1 million employees of banks including private lenders, to protest against the proposed amalgamation of Vijaya Bank and Dena Bank with Bank of Baroda. On December 26, a rally will be demonstrated at the Azad Maidan in South Mumbai, stated the unions. Around 3.20 lakh officers from various state-run banks were on a one-day strike on December 21 fighting for the same cause. The strike call comes a day after the Indian Banks’ Association (IBA) raised its wage hike offer to 8 per cent from 6 per cent. In September, the government had announced the decision of the amalgamation of state-owned Vijaya Bank and Dena Bank, under the prompt corrective action (PCA) framework of the RBI, with larger peer Bank of Baroda, creating the third-largest lender. NOBW Vice President Ashwani Rana reportedly said that merger of banks is not the solution. Criticising the government’s short-sightedness, Rana said that mergers do not aid in clearing off the non-performing (NPAs) assets. “This amalgamation is not in the interest of banks or bank customers. It is rather detrimental to both,” said the United Forum of Bank Unions (UFBU), an organisation of nine unions, including the All-India Bank Officers Confederation, the All- India Bank Employees Association and the National Organisation of Bank Workers. 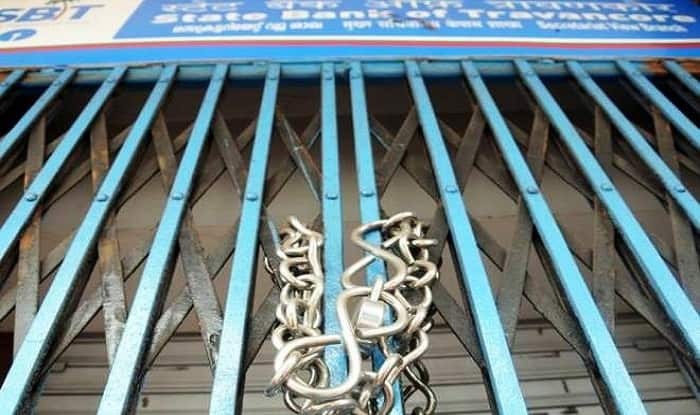 The unions say post-merger, a large number of branches will be closed and customers will have to face hardships as already banks are burdened with various government schemes such as Jan Dhan Yojana, Mudra, social security insurance, and PM’s housing scheme, among others.